The two diversion projects are designed to address an old problem. In the 1930s, when Americans began to build levees along the Mississippi River, the ages-old process of river water depositing sediment along the banks was interrupted. That process was what built much of Louisiana’s land in the first place. Subsidence, rising sea levels and saltwater intrusion in the decades to come have all contributed to one of the highest land loss rates in the world. The Barataria and Breton basins and the Mississippi River Delta downriver have lost about 700 square miles since those first levees were built, a large part of the almost 2,000 square miles lost across the state. The loss of that much coastal land means less protection against storm surge from Gulf weather and less land for building and sustaining communities. CPRA essentially wants to create two channels from the river — one on the west bank of the river, one on the east bank — in Plaquemines Parish. 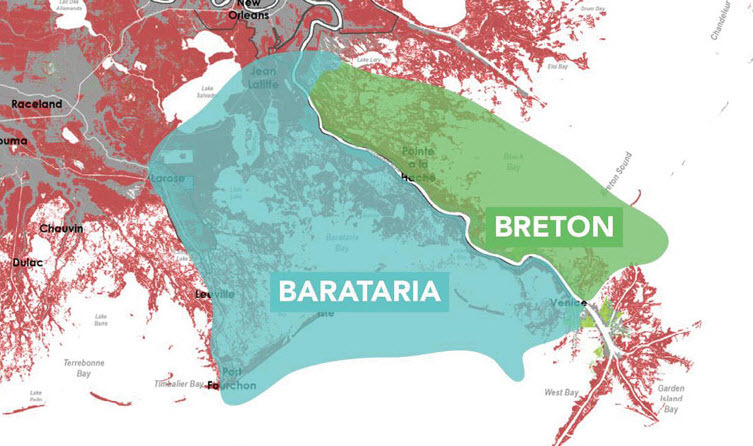 The agency estimates those diversions will deliver between 2-3 million cubic yards of river sediment annually to Barataria Bay and Breton Sound, respectively. 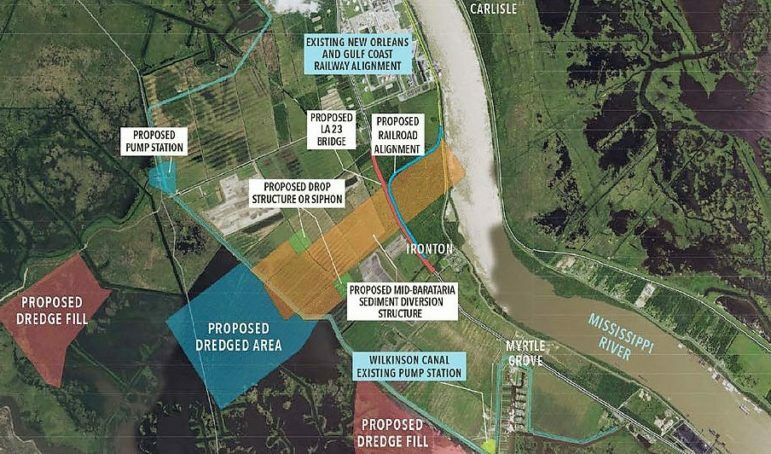 Barth said the Mid-Barataria diversion is outlooked for construction in at least two years. 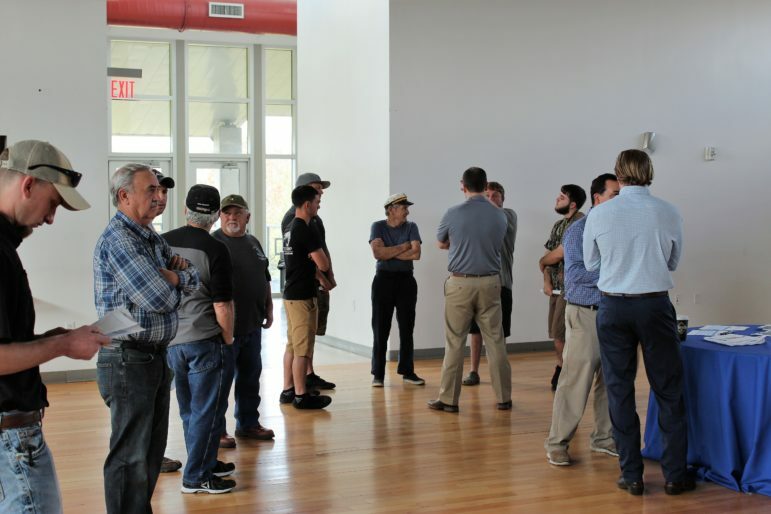 Once the federally-required environmental impact statement is complete, a public comment period also is required before permitting and finally construction can begin. There’s been no delay in comments, though, from critics of the diversion effort, including members of the fishing industry. Cooper said he’d rather see the CPRA keep a focus on dredging operations, in which sediment is removed directly from the river bottom and placed where it’s needed. Cooper said the influx of fresh water will ruin the estuaries, where the river meets the Gulf and where he and his fellow commercial fishermen often work. Among the informational materials provided at the Coastal Connections meeting was a “FAQ” document that listed frequent criticisms raised by the diversion opponents followed by point-by-point rebuttals from the CPRA. Barth said dredging remains a major part of the state’s Coastal Master Plan, first published in 2012 and revised in 2017. But Barth said there’s a dramatic difference in how much new land is produced from dredging and how much is produced from river diversions. He acknowledges that completing these projects will require significant amounts of long-term funding. And the agency has only identified a portion of the funding needed. The Mid-Basin Sediment Diversion Program — which includes both the Mid-Barataria and the Mid-Breton projects — is covered by about $2 billion in money from the state’s settlement with BP after the 2010 Deepwater Horizon disaster. Barth noted that much of that funding will be spent locally, over the course of a three- to five-year construction schedule. As steep as the cost is for implementing the Coastal Master Plan, the costs for not implementing it could be worse, according to the CPRA. Barth said that cost is estimated at over $300 million a year in damages in Plaquemines Parish alone. A recent report by Tulane University researchers Molly Keogh and Torbjörn Törnqvist raised new concerns about how the rate of sea level rise is measured, in Louisiana and low-lying coastal regions around the world. Their research found that traditional measurements using tide gauges may underestimate the rate by not taking subsidence under the water into account. The 2017 Master Coastal Plan does not account for the heightened rate of sea level rise that Törnqvist describes. But Törnqvist remains a strong proponent of the plan’s diversion program. 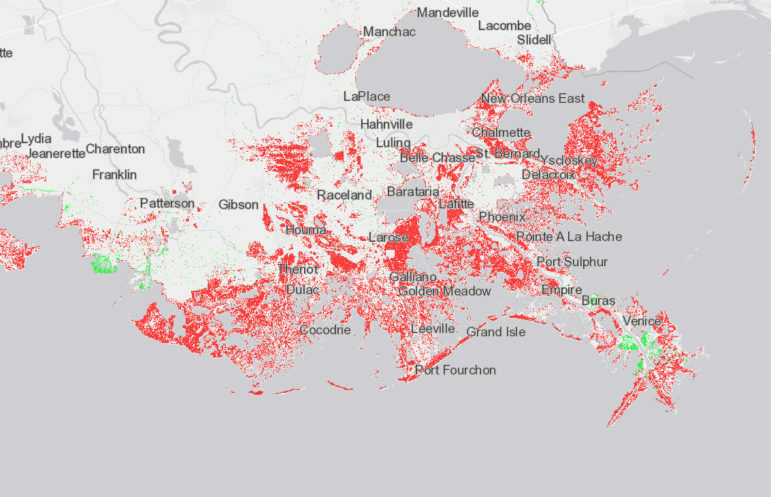 This screen capture from CPRA\’s interactive map shows projected land loss over 50 years, under its medium severity scenario without CMP measures. Click for the interactive. The researcher says he has made the point for years that, without addressing greenhouse gas emissions that have led to our warming planet and rising seas, even the most complex of coastal restoration plans will do little good in the long run. “If we don’t reduce emissions and greenhouse gases continue to rise, then we’re going to more and more move toward some very dangerous territory where you could look at massive, widespread collapse of ice sheets,” Törnqvist warns. “If those types of things start to happen, then at some point you have to ask yourself, why are we actually worried about coastal restoration and river diversions? That suddenly will become small potatoes. Cooper with the La. Shrimp Association doesn’t dispute the risks of rising seas. 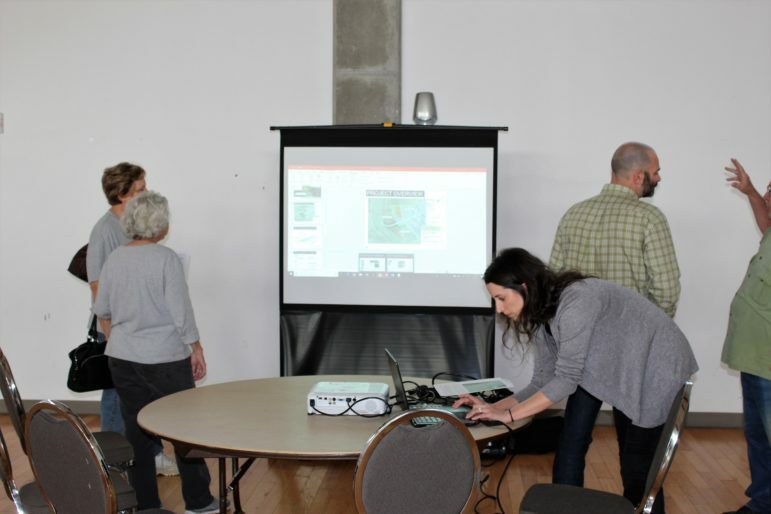 Barth and other CPRA representatives fielded plenty of questions from fishermen and other residents concerned about the impacts of the Mid-Barataria and Mid-Breton diversions. But agreeing on what should be done, he acknowledges, is a different story.